iLearning at San Domenico School: The Promise of Technology - HyperCard Was It or, Was It? The Promise of Technology - HyperCard Was It or, Was It? "instruments are at hand which, if properly developed, will give man access to and command over the inherited knowledge of the ages." 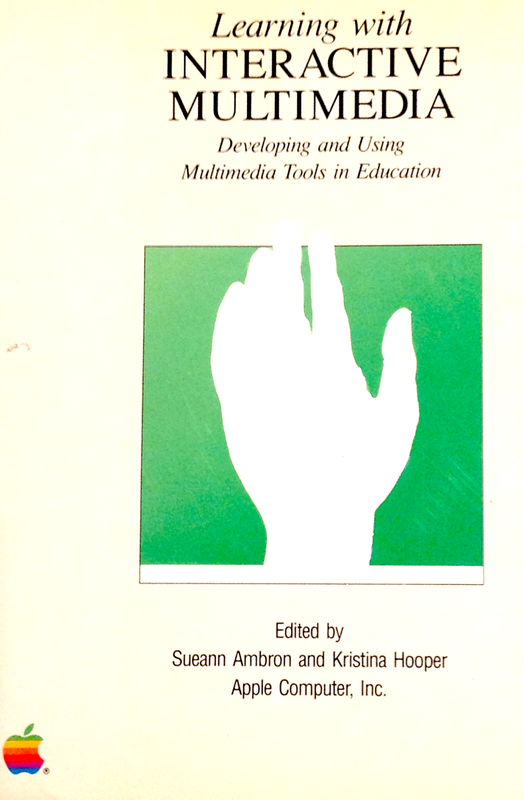 45 years later, Apple Computer, Inc. published Learning With Interactive Multimedia: Developing and Using Multimedia Tools in Education (Microsoft Press). Edited by Sueann Ambron and Kristina Hooper, this compilation promised to explore the ways in which "interactive multimedia gives us an opportunity to learn in new, more dynamic, and more exiting ways." In fact, said Ambron and Hooper, "We hope this book contributes to making that happen." In those hopeful days for technology in education (years before the introduction of Netscape Navigator and the world wide web) teachers were most excited about Apple's HyperCard software. This new software allowed them to easily and quickly collect, collate, and deliver vast amounts of information for their students. In addition, teachers could create "interactive links" between the "cards' in their HyperCard "stacks" allowing students to explore random connections between related information. With their $14 million purchase of the Silicon Valley company Forethought (makers of the Macintosh-based software called PowerPoint) Microsoft Corp. signaled it's own interest in digital interactive publishing. At about the same time Tim Berners-Lee came up with idea of interactive, hyperlinked pages on something that would later be called the Internet. While Microsoft was interested in helping businesses use PowerPoint to grow their profits and Apple envisioned digital publishing for educators and by students, Berners-Lee believed this information and creative interactive capabilities should be available to anyone anywhere in the world. It is likely that it will be as easy to create materials that combine text, video, and audio as it is to do word processing today. We will be able to record and retrieve events from wherever we are: in the library, in the classroom, in the office, or at home. An audio interface with the computer will be commonplace, and software advances should be able to provide us with our own personalized intelligent agent who maintains our "electronic household" for us. Video via telephone will be commonplace. Television sets will be thin, wall size, of extremely high definition, and will contain a built-in computer. 23 years later the confluence of ideas that helped create hypermedia and the world wide web echo back to us as the San Domenico School enters our third year of a one to one iPad learning program. Today education doesn't look exactly like Vannevar Bush's dream of information access or Campbell and Hanlon's view of the modern classroom. But at San Domenico School most of these ideas are in action every day. Whether it be biology students taking pictures in the garden to document recycling in nature, middle school students making movies to document their science labs, or students in a religion class creating e-Books, San Domenico School students and teachers are using their iPad tablets to gather their information from a wide range of media sources. They use modern "cloud-based" tools to store and collate their data and the latest software "apps" to produce the interactive materials necessary to complete the assignments at hand. To say that teaching with interactive media helps illustrate and dramatize things is both obvious and an understatement. It seems to inject a sense of immediacy and reality in a subject that is evident in the way students regard what they are studying. Rather than telling students that a subject is relevant or significant, we have a way of helping them to discover that for themselves. And in addition to the vividness and impact that learning in this way can have, it is also more effective and precise. Students more quickly grasp the issues and possibilities, and they find information more efficiently. When they find facts or helpful interpretations, or if they gain some insights, they have a powerful way to share them. Teachers are quick to explore new technology because they know it will engage their students in learning and provide them with access to the information in a way Vannevar Bush imagined some 68 years ago. Schools that embrace and support one to one programs will provide this deep learning environment for their students. 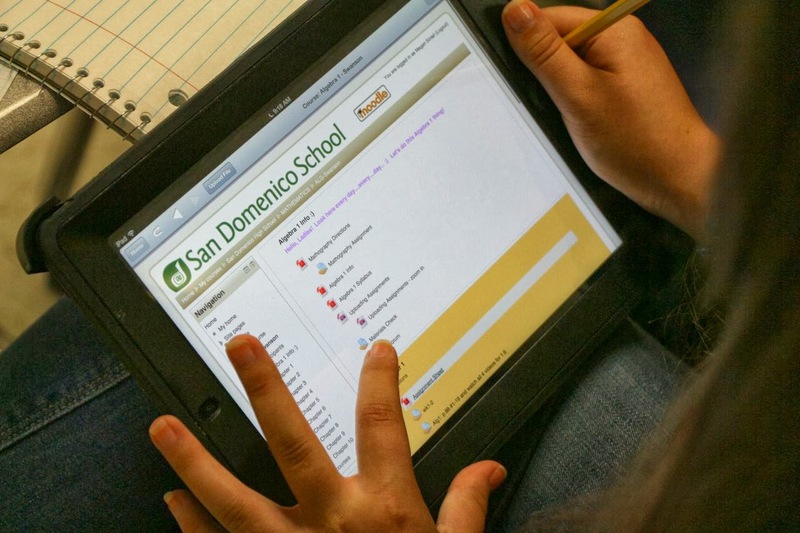 This is no educational dream for San Domenico School students and teachers. We are creating this reality every day.